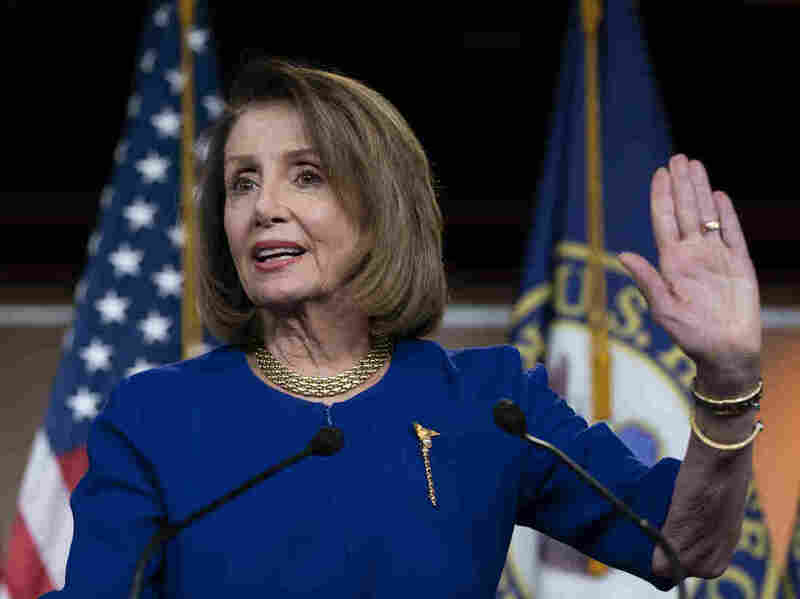 House Speaker Nancy Pelosi, D-Calif., talks with reporters during her weekly news conference in Washington, D.C.
House Democrats plan to file a resolution Friday seeking to block President Trump’s emergency declaration aimed at securing funds for building a border wall. The “resolution of disapproval,” led by Rep. Joaquin Castro, D-Texas, received the backing of House Speaker Nancy Pelosi in a letter Wednesday to lawmakers in both parties. “The President’s decision to go outside the bounds of the law to try to get what he failed to achieve in the constitutional legislative process violates the Constitution and must be terminated,” she added. The president issued his emergency declaration after Congress failed to approve his demand for $5.7 billion to build a wall along the southwest border as part of the annual Homeland Security spending bill. A stalemate over the issue caused a partial government shutdown earlier this year. The shutdown ended when Trump signed a spending bill allocating $1.375 billion for border fencing. The emergency declaration would allow him to divert several $8 billion in funds from other government projects and redirect the money for the border wall. Sixteen states, led by California, have filed a lawsuit arguing that “the President has used the pretext of a manufactured ‘crisis’ of unlawful immigration to declare a national emergency.” The states say Trump’s action is unconstitutional because only Congress, not the president, has the authority to control spending. Approval of the resolution is widely expected in the Democratic-controlled House. A vote by the full House is expected in mid-March. If the House passes the resolution, then the GOP-controlled Senate would be required to take it up. It is not yet clear whether there are sufficient numbers of Republicans senators who would join Democrats in approving the resolution. One moderate, Sen. Susan Collins, R-Maine, said she would support the resolution. But with the Republicans holding a 53-47 majority in the Senate, three other Republicans would have to join Collins for the resolution to have a chance at passage. Other Republican senators have expressed their displeasure with the emergency declaration and some face tough re-election fights so they might risk bucking the president on the unpopular border wall. However, even if the House and Senate voted to approve the resolution, reaching a threshold of a two-thirds majority in each chamber in order to override a presidential veto is not likely.